Ask most investors about how Nvidia (NVDA - Get Report) had done this year, and you'll get responses like, "Eh, pretty good," or "it's been decent, but pretty tame." Those same investors may not realize shares are up 38% this year and almost 60% over the past 12 months. That's pretty darn good for most investors. However, when we're talking about a stock that's up 1,600% over the last five years, 1,050% over the last three and 315% over the last two, 38% sounds measly. That may be giving investors a great opportunity to accumulate the stock as they prepare for the long term. One long-term catalyst for Nvidia? Fusing artificial intelligence and automotive. Last quarter, the company reported record automotive revenue as sales grew 13% year-over-year to $161 million. Admittedly, this segment trails Nvidia's other larger segments, like gaming, data center and professional visualization. But that could change as orders begin to increase. Consider that last quarter, Nvidia's DRIVE Pegasus just began shipping to customers. Pegasus allows for full autonomy of the car, supporting level 4 and level 5 driving for customers. As automakers, startups and mobility service providers begin to leverage machine learning and ramp their self-driving car efforts, Nvidia is sure to benefit, particularly with its Pegasus product. Nowhere is this more clear than with Daimler (DDAIF and Bosch selecting Nvidia to power its robo-taxi plans with Pegasus. While it won't be an immediate revenue driver, look for this to contribute positively. Daimler plans to begin testing the service sometime in the second-half of 2019 near Silicon Valley, with the service fully rolling out within the first few years of next decade. That may lag the launch dates of Alphabet's (GOOGL - Get Report) (GOOG - Get Report) Waymo or General Motors' (GM - Get Report) Cruise, but it should still be a revenue driver for Nvidia. Further, Mercedes introduced its new A.I.-powered infotainment system earlier this year, called the Mercedes Benz User Experience (MBUX). The company powering it? Nvidia. First available in the A-Class, wander into any Mercedes dealership and the growth of MBUX is easy to spot. Now in a number of cars and coming to the remainder of the fleet, this should be another big driver for Nvidia. Not just from Mercedes, though. After we saw this new system, it was clear that Mercedes would be the gold standard in the infotainment category for its class. As a result, it wouldn't take long for other companies to introduce similar A.I.-powered infotainment systems. With BMW's recent announcement, it's now clear that that's the case. While reaching out to BMW didn't yield who is behind its new Intelligent Personal Assistant, Nvidia landing additional contracts like this wouldn't be a surprise. Case in point, Audi's technology-riddled A8 is stuffed with Nvidia powered devices, one of which is for the infotainment system. As these systems become more elaborate and powerful, Nvidia is a key winner in the group. Worth pointing out is that Audi is a brand under the Volkswagen umbrella, one responsible for shipping almost 11 million units in 2017. Nvidia has partnered with the company for its DRIVE IX platform and further expansion on similar deals in the future to improve functionality would be no surprise. Keep in mind that, as machine learning rapidly improves driverless technology, companies like Volkswagen, Daimler (Mercedes) and others can scale their offerings, going from hundreds of thousands of vehicles to millions. That directly benefits Nvidia. Analysts currently expect a sequential decline in automotive revenue for the current quarter, factoring in about $159 million in sales for fiscal Q3 2019. For Q4, estimates call for $169 million; full-year revenue estimates stand at $638 million, according to FactSet. While a far-looking estimate, current forecasts call for a 20% increase in automotive revenue between fiscal 2019 (this year) and fiscal 2020. Whether that turns out to be conservative is another question. Certainly the 11.6% gain in fiscal 2021 seems conservative. 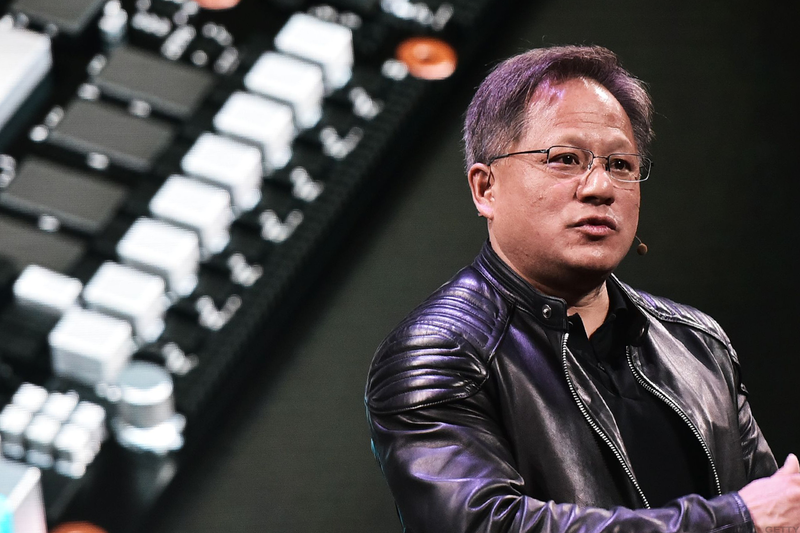 Either way, though, the bottom line is simple: As we start to talk more about how many TOPS - trillions of operations per second - our car can achieve instead of the horsepower they can generate, Nvidia is the clear-cut winner in the segment. There's too many lives, too much money and too many efficiencies to be had in autonomous driving and for that reason, it's coming whether consumers are ready or not.